Is your commercial space in need of tenant improvements? Schafer Electric Services, Inc can help. Businesses grow and needs change—the space you’re in shouldn’t decide what you’re capable of. Tenant improvements are the changes made to a commercial property by the business leasing the property. These changes are made to facilitate the operations of the business and the expenses are often shared by the property manager. What services does Schafer Electric Services, Inc offer? 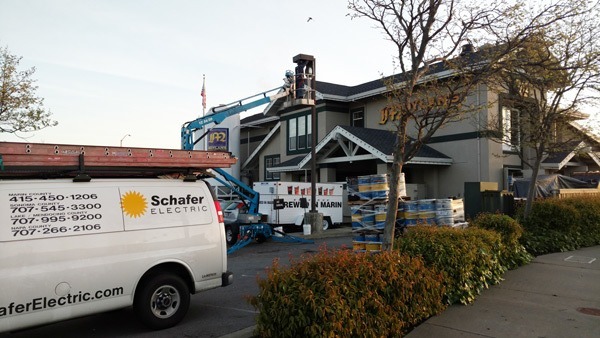 No matter what you want to change about your business, Schafer Electric Services, Inc is ready. We’ve helped many North Bay businesses improve their spaces, from Sonoma County to Marin County to Lake County. Looking to renovate? Schafer Electric Services, Inc is a highly qualified electrical contractor ready to tackle any job. No matter what electrical service you need for your tenant improvements, we can help. Contact electrical contractor Schafer Electric Services, Inc today to get started on your renovations! Ben Schafer installed a ceiling light fixture in our dining room today (11-21-12). He not only is a nice guy, but an excellent electrician. He was quick, neat, and the price was better than most! He gives 10% discount for new customers. We plan on using him again when we install a bedroom ceiling fan!